A couple of weeks ago I was delighted to be cooking for a group of lovely women. Frances, our host, had bought my services in a donation to Delmarva public radio and while I give out these cooking demonstrations and dinners all the time to charity, this event was truly special. I promised her the recipes for the curry afterward but life intervened for a while and these are long overdue. So these are for you Frances, thank you for your graciousness and your patience. I hope the rest of you are as adventurous in your exploration of the cuisines of the sun. Strain yogurt in a cheesecloth colander. Put cucumber in food processer and pulse till pureed. Add cucumber to yogurt in cheesecloth and allow to drain for at least two hours. Roughly chop cilantro and mint mix into yogurt mixture with spices and lemon juice. Correct seasonings. To make the batter for the dosas, soak the rice and red lentils and fenugreek seeds overnight in water. Rinse and drain and put in vita mix with enough water to make a thick smooth paste. Season with salt and white pepper as desired. For the filling heat oil in a pan and cook mushrooms over high heat until their water has been released and they are getting crispy, add 2 cups of shredded vegetables, and spices sautéing till opaque. Add tomato paste and pepper paste and then enough stock or wine to keep from sticking to the pan. To cook dosas pour thin layer of batter on flat pan and smooth with a frosting knife to get it as thin as possible. When it is golden brown on the edges fill with vegetables and fold over the edges. It is important that the batter is ladled on very thinly as you are not flipping them. It is best if you freeze the tofu overnight and then defrost the next day. Bubbles form as the water expands and contracts and this allows the tofu to absorb more yumminess. Press the tofu to squeeze out any remaining water and crumble into pea sized bits. Heat the oil in a pan and add the tofu, curry powder and turmeric. Let cook over medium high heat until spices are aromatic and tofu is browning. Set aside. Heat remaining oil in a pan and add onion cooking till slightly browned, add ginger and garlic and tomatoes and remaining spices. When tomatoes are beginning to break down add cocnut milk and the spinach and cook till wilted, about three minutes. Put everything except tofu in food processer and pulse till smooth. Return to pan and add tofu, cook for a few more minutes so flavors meld. Pour boiling water over red lentils and let sit for twenty minutes. Strain and add all other ingredients except corn kernels. Pulse in food processor. Add corn in and vegetable stock as necessary to make a smooth batter. In a medium hot pan drop spoonfuls of batter and cook both sides till firm. Since the ingredients are already essentially cooked you are doing this so they hold together when put on top of the eggplant curry. Liberal amounts of safflower oil. As time consuming and messy as it is each vegetable needs to be roasted in a separate pan. Cut all vegetables in about one inch chunks, toss liberally in oil and roast over high heat till caramelized. Save the carrot oil, it’s delicious. Once everything is roasted put all ingredients in a large pan and heat over medium high heat till flavors meld and coconut milk reduces slightly. Check seasonings. Serve with fritters on top. 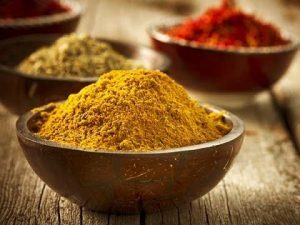 The traditional procedure for making a curry powder or garam masala is always the same. Put all the whole spices except in a dry skillet over medium low heat. Cook the spices for several minutes, stirring constantly, until the spices have darkened a shade or two and are very fragrant. Don’t turn up the heat; this must be done slowly, to toast the spices all the way through without burning the outsides. Pour the spices on a paper towel to cool. Once cooled, grind all the spices together in a mortar and pestle. Stir in any ground or granulated spices after grinding. Use immediately or cover tightly and keep in a cool, dark place for 3-6 months. 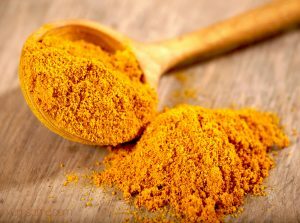 Of course, grinding spices by hand using a mortar and pestle is time consuming, and you might not end up with as fine a grind as you might like. Fortunately, you can get very good results using a spice grinder or a bladed coffee grinder. If you are a true purist, by all means use a mortar and pestle, but if you want all of the flavor with less fuss, it is perfectly acceptable to use an electric grinder. If you come across a recipe for a spice blend that calls for all ground spices, you can still bring some depth to the flavor by toasting in a dry skillet for 2-3 minutes, just be very careful since ground spices will burn quickly. 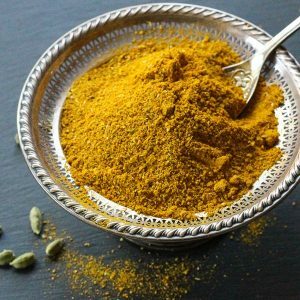 Homemade curry blends and garam masala made with whole spices will almost always be more flavorful than a purchased product. This is because ground spices lose their flavor much more rapidly than whole, and you have no control over how long a powder has sat on a store shelf.